David Cox is employed as a writer and editor and lives in Ontario, Canada. David also contributes review articles to the U.S -based internet publications rambles.net and rootsworld.com, where he writes about European world-roots music, specializing in the music of Euskal Herria and Cymru-Wales. His hobbies include studying the Basque and Welsh languages and playing Euskopoli with his children. On Dec. 1, 2008, the Basque world lost its greatest musical ambassador, a man who only recently had shared the stage with Dylan; an artist who was the inspiration for an entire movement. In contemporary Basque music, one name stands above all the others. Born June 15, 1934, Mikel Laboa Manzisidor passed the civil war years in Lekeitio, but is most closely associated with the city of Donostia, where he was raised in a musical family -- and a political one. His was an ancient and mysterious voice, sometimes incomprehensible, a voice that seems to come from the depths of the Basque soul. Having virtually invented Basque popular music in the 1960s, Laboa maintained his influence through the decades, as Basque music eveolved. In the 1960s and 70s, the Ez Dok Amairu group melded local folk traditions with the folk, pop and rock sounds coming from America and Britain. Ez Dok Amairu included Laboa, Benito Lertxundi, Xabier Lete, Lourdes Iriondo, and other legends, and was inspired by the artist Jorge Oteiza. Laboa's first solo recording was made in Bayonne-Baiona in 1964. It included four folk songs, 'Oi Pello Pello', 'Amonatxo', 'Berreterexen Kanthoria', and 'Haurtxo Txikia'. In such songs as these, or the mysterious 'Goizuetan,' Laboa set the standard for the spectacular development of Basque-language music -- a music deeply rooted in the songs, the stories, the instruments and other traditions of a culturally distinct people. 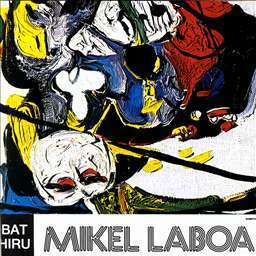 In 1974, he released the LP Bat-Hiru, considered by many the greatest Basque recording of all-time. His favourite sources for texts, apart from folk traditions, included Brecht, Atxaga and Sarrionandia, Artze and Lete. 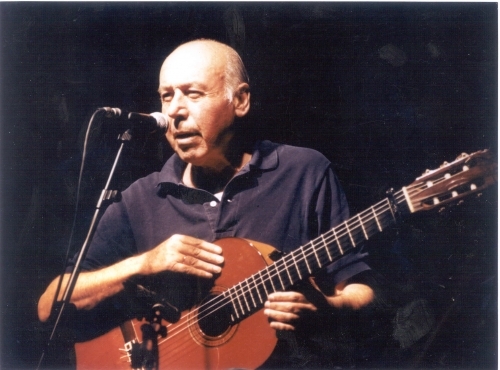 His musical influences included Atahualpa Yupanqui, Silvio Rodriguez, and the Setze Jutges of Catalunya. He sang in at least half-a-dozen languages, including his own, but the entirety of his work was euskaldun. The fragile position of any language that is spoken by a minority within its own country is addressed by Laboa again and again. "Our words, say them again and again/so they are not forgotten, so they are not lost," sang Laboa in 'Gure Hitzak' (Atxaga). *The singer was also a psychiatrist. In 'Kiromantzidxa' (Sarrionandia) Laboa seems to analyze an entire people. "I see the goverment and power against you...the police, the judges the financiers." His own songs are recorded again and again. The group Negu Gorriak takes its name from the lyrics of a Laboa song, 'Gaberako Aterbea' (Brecht) recorded by that group. Fermin Muguruza's concept for Inkommunikazioa -- Komunikazioa came from Laboa. In the post-millennium era, Basque music took on a new form, a fusion of international styles with local traditions. This manifested itself in different ways, but most notably in Kepa Junkera's magical reinvention of the trikitixa (diatonic accordion) and Oreka Tx's use of the txalaparta. This trend is anticipated by Laboa's 'Ezpata Dantza' which is a piano-txalaparta duet; and by 'Elgeta' where the twin accordions of Joseba Tapia and Iker Goenaga merge with voice and synth. Beginning with Junkera's CD Maren, his later CD Hiri, and finally with Oreka TX's Nomadak TX project, the development of Basque music leapt forward by marrying traditional Basque sounds with world musics. On this last, notable project, Laboa's 'Martxa Baten Lehen Notak' (Artze) is featured (he speaks rather than sings the lyric). This song is a kind of Internationale for the forgotten, stateless peoples. Trikizio also recorded the song -- in Catalan. 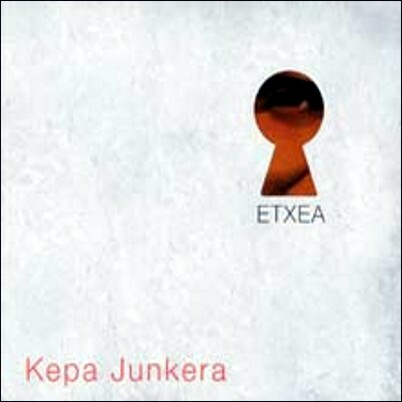 On his most recent CD, Etxea, Junkera pays direct tribute by recording 'Haurtxo Txikia,' 'Oi Pello Pello' and 'Haika Mutil', three songs Laboa made his own. While folk music is the obvious repository of the culture, Basque themes and instruments are now incorporated into children's music -- Takolo, Pirritx eta Porrotx pay direct tribute in Poxpolin Marisorgin -- just one example. Even rock groups such as Gatibu feature the alboka, txalaparta and Basque irrintzi. Ken Zazpi has recorded 'Izarren Hautsa' (Lete), one of Laboa's signature works. Su Ta Gar recorded 'Haika Mutil.' And, of course, Niko Etxart once did a version of 'Baga Biga Higa.' 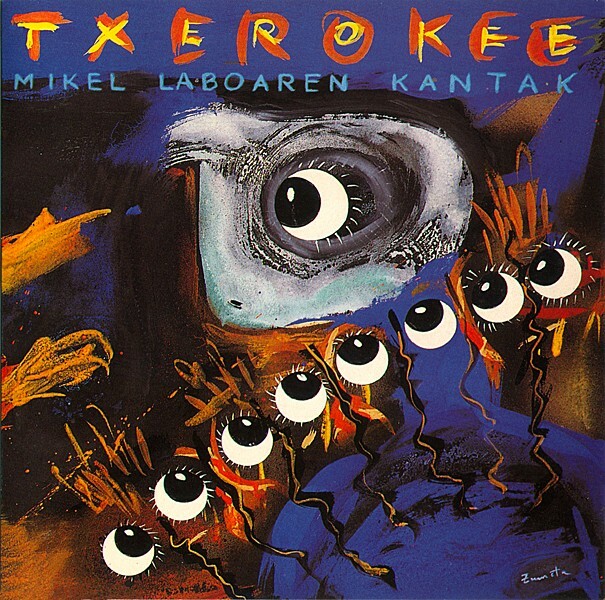 Of course, there is an entire disc, Txerokee, devoted to covers of Laboa's work. Laboa's greatest and simplest song, 'Txoria Txori' (Artze), was recorded by Joan Baez, among others. This song of freedom has universal resonance. When Laboa died, the Basque world lost a major creative force. Laboa was a true artist, always unafraid to try something new and experimental. Even if you didn't like it, it challenged you. He was never afraid to add new colours to his palette. His work has so many hidden surprises, that (to paraphrase 'Gure Bazterrak' - Artze) 'when the mist hides it from me, it is then that I begin to see what is hidden.' With 17 recordings, by some counts, and so many hidden gems, so much of his work still lies waiting to be discovered by many. A true artist treads in new territory without fear. That artist, rather than working alone, collaborates with others who have complementary talents. The work challenges for your attention. 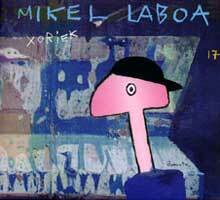 Such an artist was Mikel Laboa. *Lyric author in brackets after song title unless credited as traditional.